MoDOT News On Wheels Newsletter - 2019 UCR Registration Delayed, New Missouri Plates and More! The start of the 2019 UCR registration period is delayed until further notice while the FMCSA completes its 2019 fee rulemaking process. Once the rulemaking is published, the UCR Board will issue a recommended enforcement date three (3) months from the start of the registration period. The proposed fees for 2019 currently under review are based on a recommendation that was submitted by UCR to the FMCSA and reduces fees for carriers at all levels by 4.5 percent. This follows a 9.1 percent reduction in 2018 fees from the 2017 level. MoDOT was instructed not to accept any carrier fees for the 2019 registration year until the official registration period is announced. 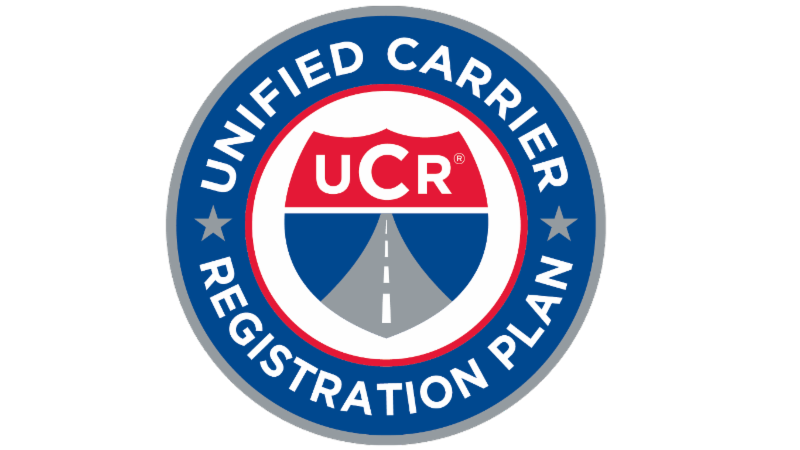 No entity, whether a state DOT or other organization, can complete 2019 UCR registration until the official registration period begins. We will continue to keep you updated as we become aware of relevant fee and registration information through mailings, email and website announcements. A final rule, effective Nov. 19, 2018, revises FMCSA’s regulations to permit individuals with a stable insulin regimen and properly controlled insulin-treated diabetes mellitus to be qualified to operate CMVs in interstate commerce. A certified medical examiner can grant a Medical Examiner’s Certificate for up to 12 months to individuals living with ITDM. The final rule can be found in the Federal Register online . MoDOT is joining other transportation stakeholders to help fight human trafficking. As a signatory to the Transportation Leaders Against Human Trafficking (TLAHT) pledge, MoDOT voluntarily commits to educating employees and raising public awareness of human trafficking issues impacting our state and nation. Employees will receive specialized training about the common indicators of human trafficking and how to report potential cases. “We may not think that human trafficking is happening around us, but the truth is, it’s happening in cities and small communities all across America,” MoDOT Motor Carrier Services Assistant Director Steve Meystrik said. Those involved in human trafficking are using roadways, railways, waterways and skies. Kansas City, St. Louis, Branson and locations along the I-44 corridor including Rolla, Springfield and Joplin are the most common locations in Missouri for human trafficking cases to be reported. As of Jan. 1, 2019, CMV drivers can carry IRP cab cards and IFTA licenses as an electronic image. All states and provinces will accept electronic images of IRP cab cards and IFTA licenses. Drivers can display credentials as an image on a computer, tablet, or smart phone. Paper copies remain acceptable as well. Regardless of the format, the document must be accurate, accessible and readable by law enforcement. TIP : Drivers can store credentials as a PDF file to ensure access while in areas of no or spotty cellular service or WiFi. If a driver cannot provide proof of credentials, they may be cited and required to present proof of registration to a court of law. 1. Watch for a green renewal postcard in the mail. It lists the required supporting documents and deadline dates. 2. Gather and submit supporting documents ahead of the application deadline. 3. Call with questions/requests for assistance as soon as the need arises. If you wait to the last minute, you’ll be on hold with all the others who waited until the last minute! 4. Submit all supporting documents on time and pay on or before the payment due date to avoid a late payment penalty. 5. If paying at the payment deadline, log in to MoDOT Carrier Express and simply pay the invoice online rather than waiting on the phone to pay. Find a list of IRP apportioned plate renewal activities and deadlines HERE . I n 2021, Missouri will celebrate 200 years of statehood, a fact that will soon be obvious to motorists nationwide. 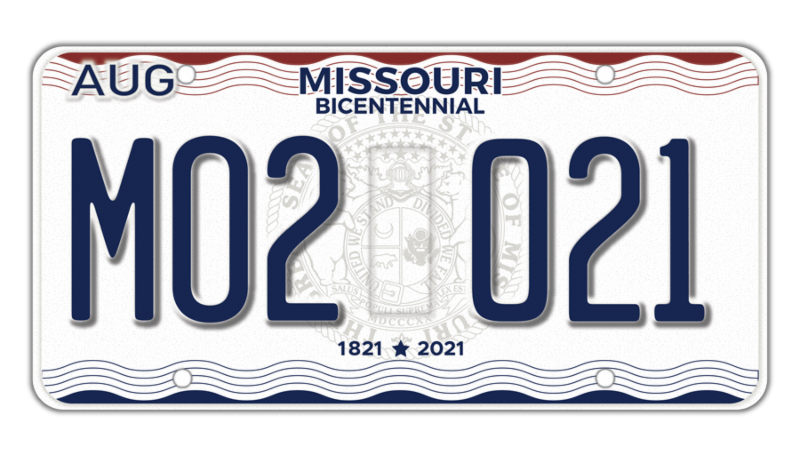 Beginning Oct. 15, Missouri vehicles – CMVs included – will receive license plates with a bicentennial design theme. The commercial vehicle version of the plates will be distributed to newly-registered vehicles and as replacement plates. A mandatory replacement of commercial vehicle license plates is not planned, however a request to replace a bluebird license plate will be filled with a completely new tag featuring a different series of letters and digits. The International Registration Plan portion of MoDOT Carrier Express, our online system, will be out-of-service Oct 13-14 to accommodate updates the license plate change requires. 1 - Carriers with apportioned plates that expire Dec. 31 must file a renewal application by this date. 8 - Columbus Day - MoDOT offices closed. 12 - Veterans Day (Observed) MoDOT offices closed. 19 - MoDOT MCS starts mailing 2019 IFTA licenses and decals to those whose accounts are in good standing. 22 - Thanksgiving Day - MoDOT offices closed. 3 - Payment due for carriers whose plates expire Dec. 31. After today, a late pay penalty will be assessed. 5 - Interstate carriers who have not received a 2019 IFTA license and decals by this date should contact MCS for assistance. 25 - Christmas Day - MoDOT offices closed. 31 - 2018 OSOW blanket permits expire. 2018 UCR expires. 2018 IFTA licenses expire. 2018 Intrastate Authority stickers expire. 1 -Carriers with apportioned plates that expire March 31 must file a renewal application by this date. 21 - Martin Luther King, Jr. Day - MoDOT offices closed. During these periods, oversized loads are not allowed to use Missouri highways. Restricted periods begin at noon on the first day and end 30 minutes before sunrise on the last day.